Price, flight schedule, itinerary and conditions are subject to change without prior notice, please call for the most updated information. Cheng Ho : Minimum number of passengers to operate are 8 people. Domestic flight luggage limit of 10KG per person. 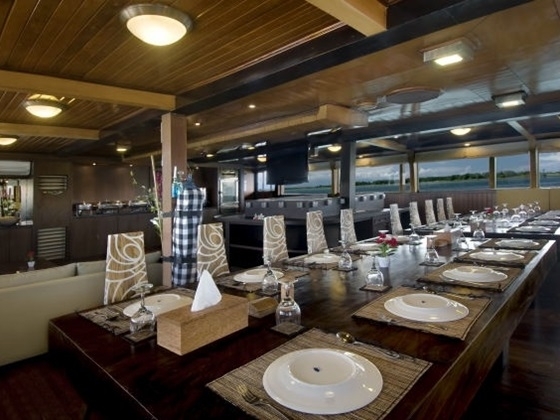 Morning flight to Denpasar, upon arrival, stay overnight at Denpasar Hotel with complimentary airport transfer. After breakfast, transfer to airport for flight to Labuan Bajo. 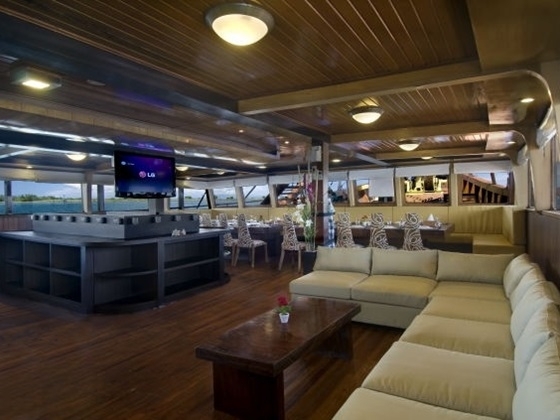 Upon arrival, meet and transfer for embarkation by speedboat. Welcome drinks will be offered. 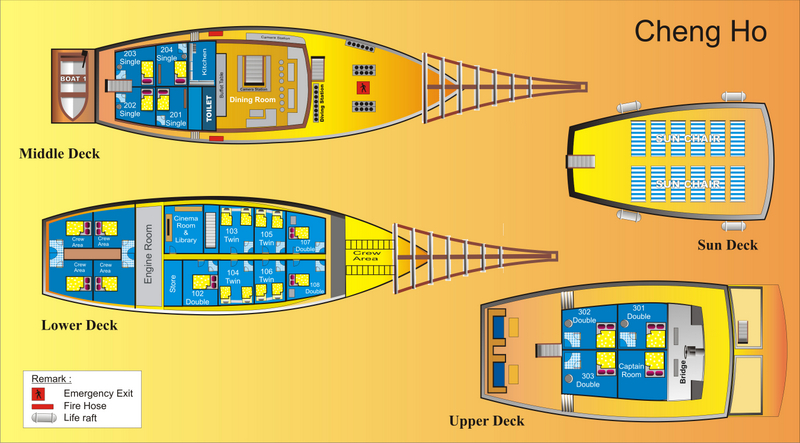 Cabin allocation and ship orientation will take place before depart to Sabolan for check dive. Central Komodo (water Temp 26-28 deg). 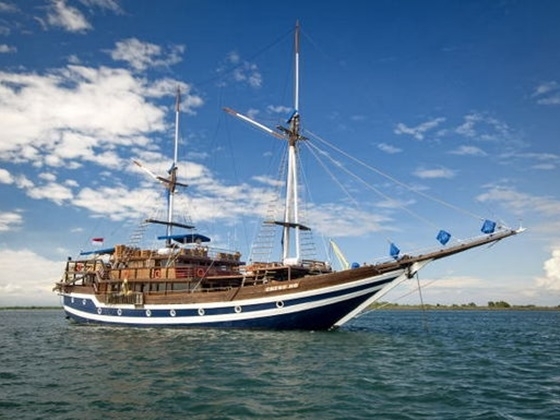 The ship will arrive in Labuan Bajo early in the morning. You will be served breakfast and afterwards prepare for disembarkation. And you will transferred to the airport to catch 1.5 hours domestic flight to Denpasar and transit flight back to Hong Kong. Round trip economy class air ticket between Hong Kong and Denpasar by Cathay Pacific. Round trip economy class air ticket between Denpasar and Labuan Bajo by Trans Nusa. 5 nights live aboard with full board meals. Approx. 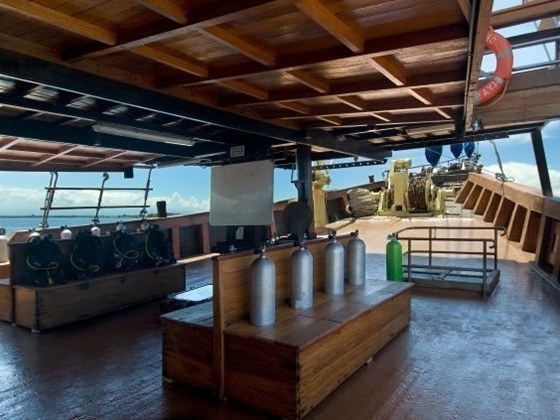 16 dives including weights, tanks and use of recreational facilities on board. Indonesia airport tax to be paid on spot: Int'l IDR200,000; domestic IDR30,000. 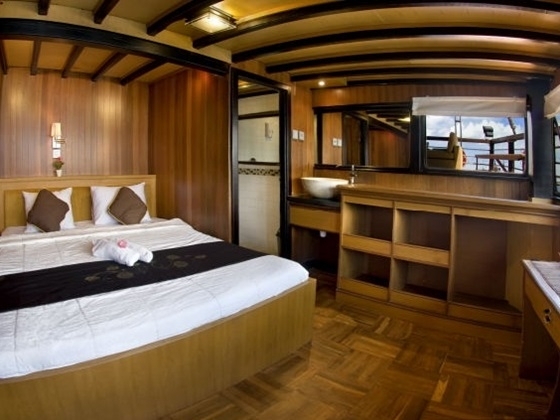 Tips for the crew and guide (Suggest pay USD 20-25 per person per day).